Welcome to “Monster Movie” Month here on Unsuccessful Entertainment! I know I’m late posting any form of reviews, so here we will start off with 1962 creation, King Kong Vs Godzilla. I remember having friends over that have never seen the movie before, and they would choose teams. 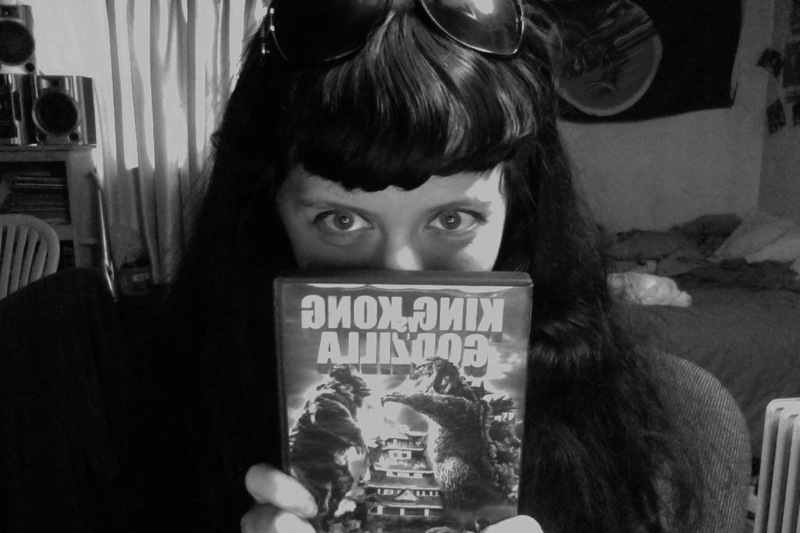 Team Godzilla and Team King Kong and I was all… “But they are both amazing creatures of the unusual! !” And, I’ll admit I would root for both monsters to just obliterate the human race because I was such an anti-human human being back in the day. Plot of the film: A pharmacy company captures the mighty king kong to bring him back to japan. He escapes from captivity and starts to duke it out with Godzilla. Mister King Kong, obviously annoyed by everything going on, attacks the village and so does a random octopus because …. monster movie that’s why. The tribes people end up doing this song and dance thing that puts King Kong into a sleep. He is brought to Tokyo and then some people in a submarine end up melting ice around Godzilla and he decides that it’s a nice day to go to Tokyo. I’m give props to all the special effects in this film even though its cheesy supreme. The amount of time and effort that had to go into it must have been crazy during it’s first release and everyone’s grandparents were at the drive in or movie theater making kissy faces. The tanks are nothing but what looks like mere toys being destroyed by Godzilla’s breath (which looks like hairspray with a lighter). When it comes to the battle between the two, it first looks like Godzilla is winning because King Kong is just a giant ape. But when thunder hits he gets super strength and can throw rocks and things. So the two duke it out in a rather cheesy battle and eventually ends with them going their separate ways. It’s a total tie by falling into the ocean.